Herrera-Sobek, María. 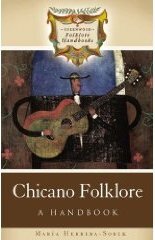 Chicano Folklore: A Handbook. Westport: Greenwood, 2008. This entry was posted in English, Recent IAS Books. Bookmark the permalink.